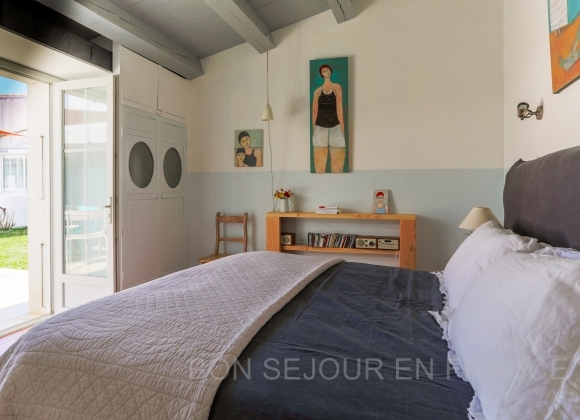 The "Tofinou" is a small sailing boat that was created on the Ile de Ré in the 1930s. 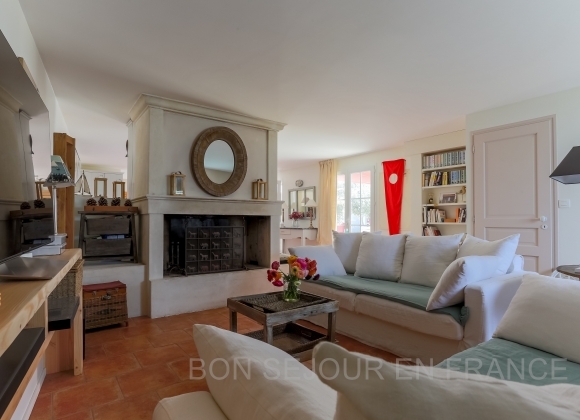 Its elegance, its intricacies and its efficiency are qualities which also apply to this lovely holiday home. 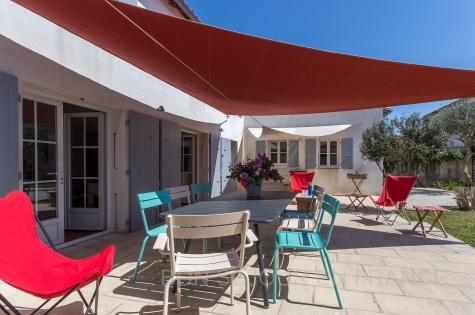 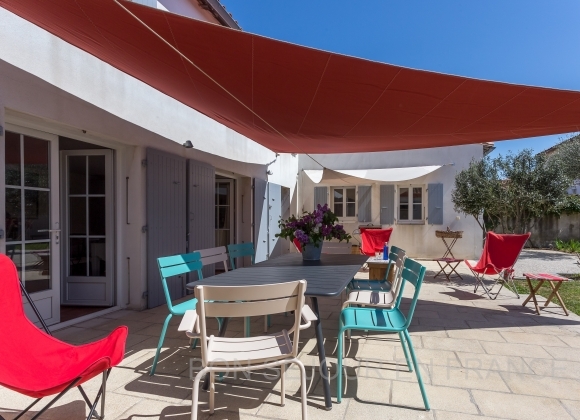 Located in the heart of the village, you’ll enjoy its closed garden, its South-facing terrace sheltered from the wind and the sun thanks to its large shading sails. 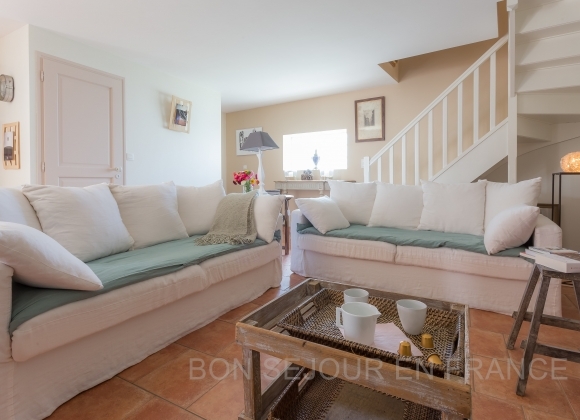 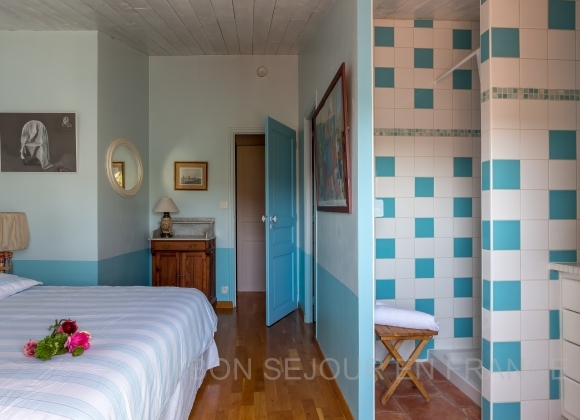 Perfect for relaxing after the beach and bicycle rides through Sainte-Marie’s winding roads. 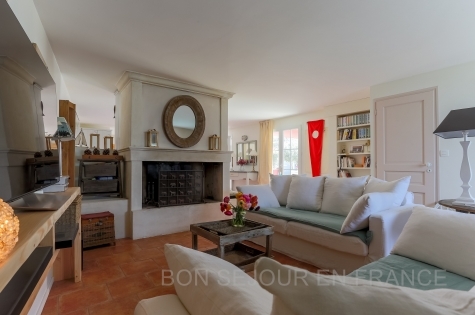 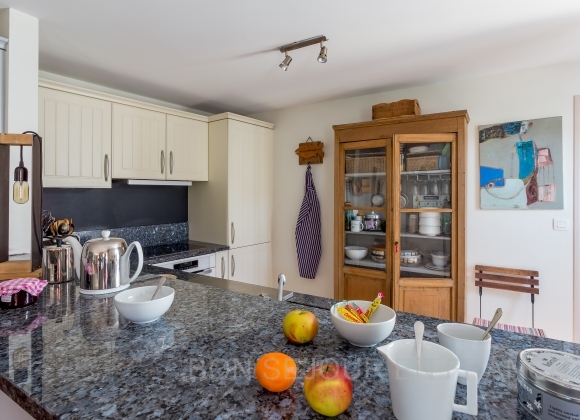 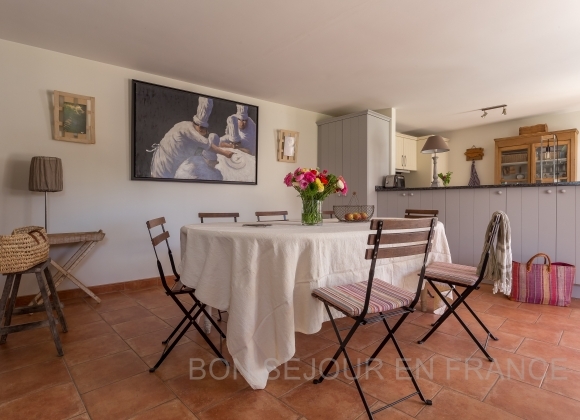 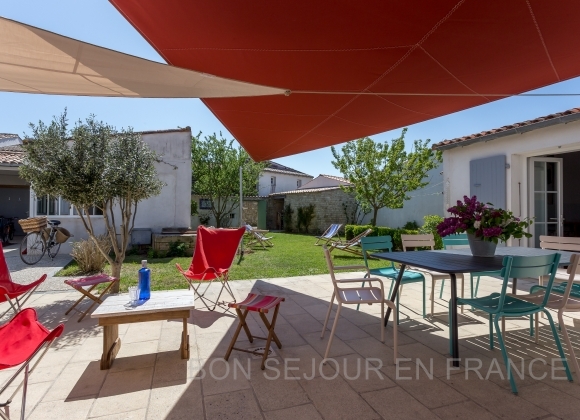 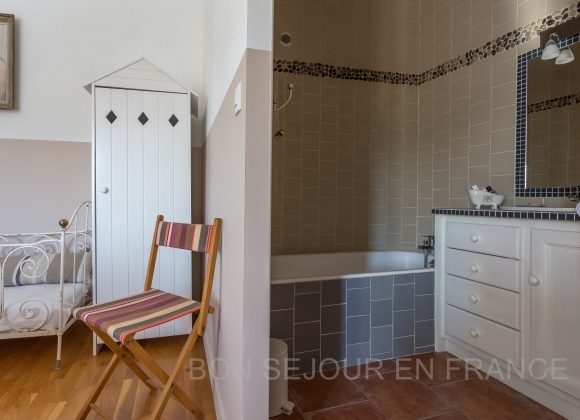 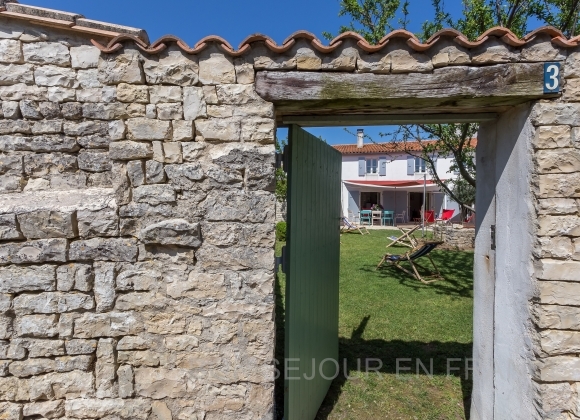 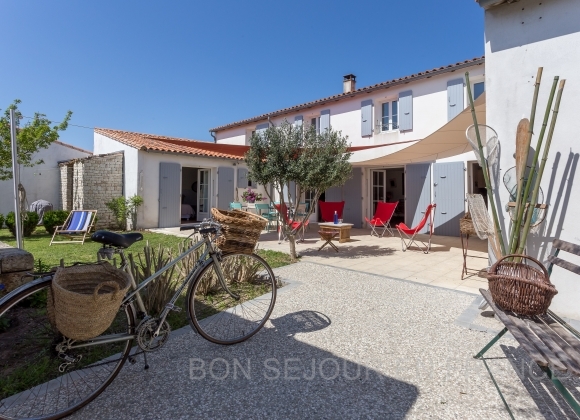 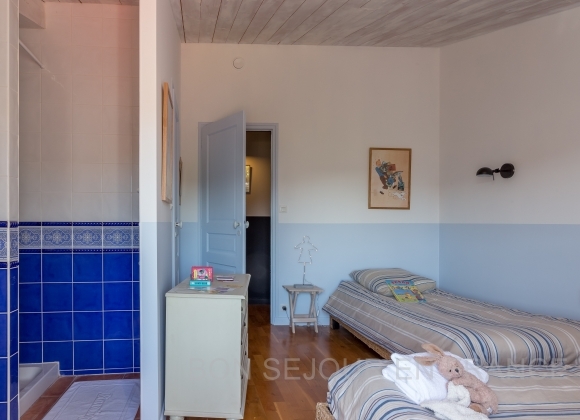 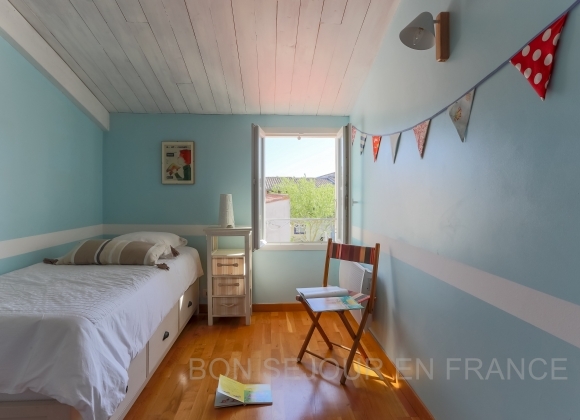 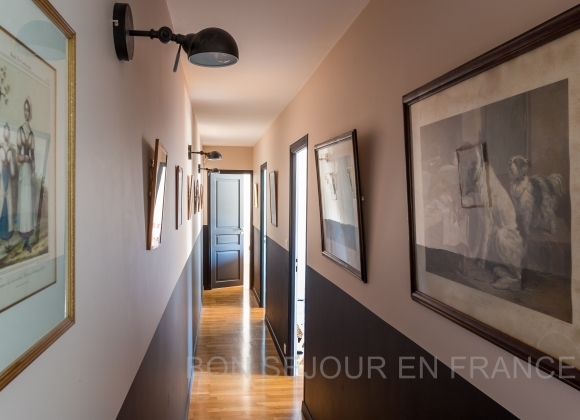 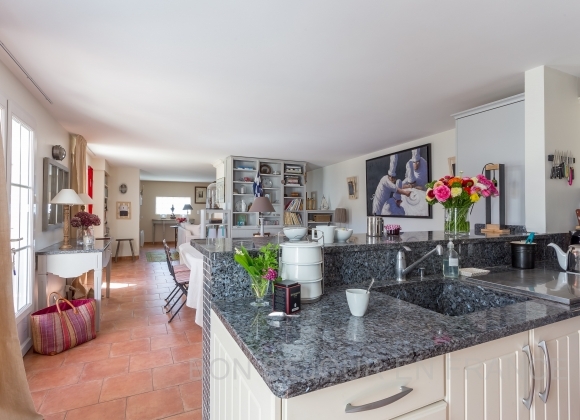 This house is located 300 metres away from the Antioche square with its market and shops and 800 metres from the beach. 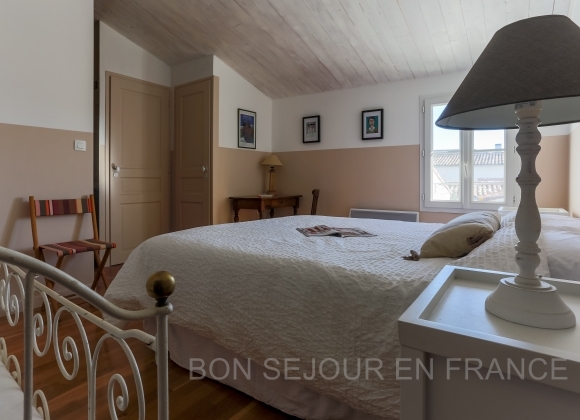 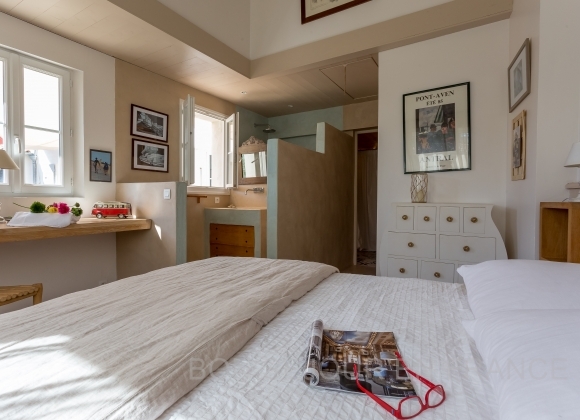 Out of the high season, “Tofinou” can be rented for 6 people max. 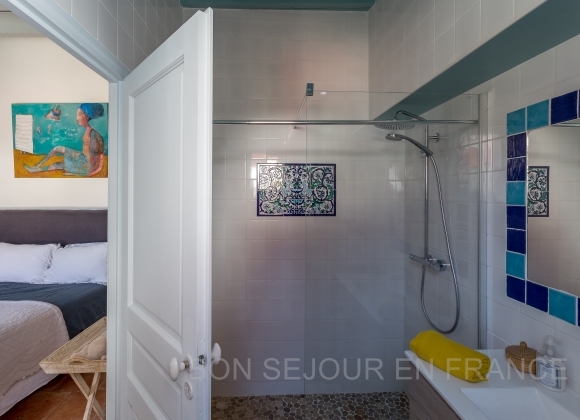 (3 bedrooms) at a lowered rate (cf "price per week" section).